Working on the Road Work Ahead! Friends, swirling in the sun days of spring. The trees by the studio are all newly greened and SpragueLand is alive with new sounds readying themselves for computer documentation. First up will be a new recording by Road Work Ahead and then next month we’re assembling the string group for a dose of Dr. Einstein’s Spin. Look out! Last week we played a show at the UCSD Loft (got a good review too). Big fun with the David Borgo/Jeff Kaiser Group laying down a wild and beautiful sonic exploration. This lead to our set working out the new version of the Spin Triology, culminating with a fast blues that had it’s groove fully on. We loved the venue and can’t wait to return when the time is right. From UCSD we morphed over to the Del Mar Powerhouse Building for a sold out show with my string quartet group. It was a fantastic setting and I really treasure the opportunities to play that music once again. Duncan and Peter enjoying the audio ride with the string group in Del Mar. The quartet leaning into pages of notes and translating the ink into sound. That's Gunnar on bass on the right. This week is the week of Road Work Ahead. If you’re unfamiliar with our group think back a bunch of years, to the early 1980’s. Bob Magnusson was living and gigging in Los Angeles and had a record deal with Albert Marx's Discovery Records label. Bob had already done one album as a leader and was organizing his second project. He rounded up pianist Bill Mays, San Diego drummer Jim Plank, and myself and we rehearsed through some of his tunes. The next stop was a Hollywood recording studio where we laid down the tracks for Bob’s album "Road Work Ahead." 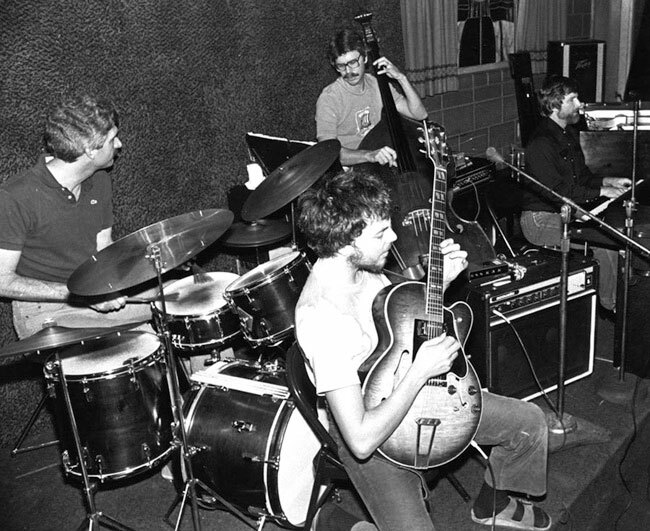 The direction of the group had some inherent electricity and because of not only the musical ESP but also the human interactive ESP, we decided to continue on, form a band, and call ourselves Road Work Ahead. The idea was to tap into the free advertising angle courtesy of Caltrans and link that up with the hopes of taking the band out on the road. We were four friends, fully engaged in music, all composing tunes for the group, and all dealing with extensive freeway drive time. Bob and Bill lived in L.A. while Jim and I lived in San Diego. We'd do a hit in Hollywood, Jim and I would sleep under Bill's piano in his house in Studio City, and then after the following evening's gig we'd drive back in the middle of the night, struggling the whole way to stay awake. Sleep deprivation is the part of the equation I'm happy to leave behind but the music itself was priceless. We went on as a group to record two of my Xanadu album projects (The Path and Bird Raga), two more Road Work Ahead records (Night and Day and Two Generations of Music), a KCET TV show called "Road Work Ahead Performs Four by Four" with Shelly Manne as the host, and many concerts throughout the United States. Leonard Feather wrote about us in the L.A. Times "Another splendid set... this music, halfway between be-bop and the avante garde, bears extended listening..."
Road Work Ahead back in the day playing a live show in Rancho Cucamonga. Left to right, Jim Plank, Peter Sprague, Bob Magnusson, and Bill Mays. In the late 1980's Bill Mays moved to New York City and this marked a big change for the band. Bill had been immersed in the L.A. recording studio scene and really wanted to break away from that world of tense details and morph into the reality of a jazz pianist playing music in real time. New York is the center for this direction and Bill eased right in. The huge distance between Bill's East Coast home and our San Diego contingent pretty much halted our Road Work Ahead exploits for a while. We resurfaced as a group in 1997 and did an inspired show at the Bella Via in Cardiff and garnered a great review in the San Diego Union. Six more years passed by and in January of 2003 Bill was circling through San Diego (his folks lived here) and had a couple of days free. I called up the rest of the gang, booked a Sunday afternoon hit at Dizzy's (they had just scored a good acoustic piano), and broke out the book of tunes that we used to play to plan what musical vistas we might visit this time around. The concert was a wonderful success and Bill, Jim, Bob, and I vowed to make an effort to do more Road Working ahead. The telepathy and pathos that was generated served as our inspiration and guide. Our next event was a July, 2003 show at the La Jolla Athenaeum complete with a standing room only audience in attendance. We had a great show, got another glowing review, and on the days following the concert we went into my recording studio and laid down some tracks. Each band member wrote and arranged a few tunes and after a joyous and intense time we emerged with a new recording called "On The Road Again". Jim Trageser from the North County Times gave the recording an "A+" rating. He writes, “the result is a collection of seven new songs by the band members and four covers that show off both their remarkable virtuosity and the kind of empathetic interplay that only comes with time. 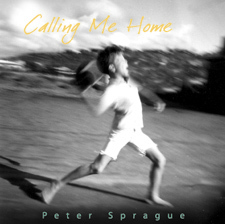 Sprague's playing is always pleasant and this new CD shows a side to his playing we do not always get to hear. The new songs are gorgeous and complex enough to challenge the musicians and also hold the listener's interest." And that brings us up to date. 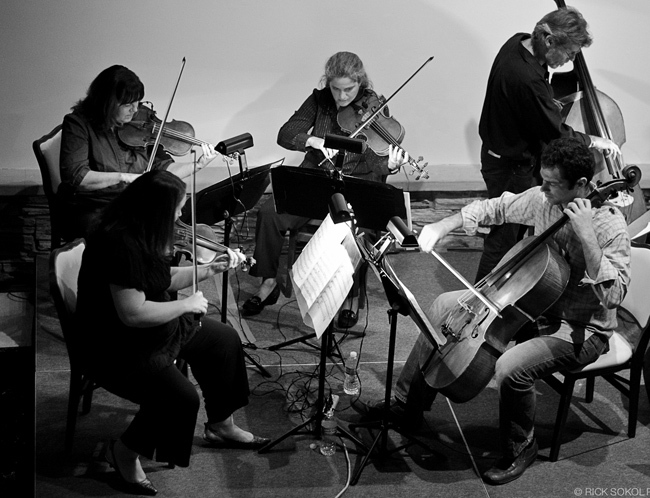 Two weeks back we rehearsed a collection of new music and played a week of concerts in the Bay Area. This week we’re sharing out trip with L.A., Pt. Loma, Temecula, Hollywood and Pacific Beach. We’re also heading into the studio tomorrow to lay down the new music. I hope you can make it out to one of the concerts. Look below for the details. I think you’ll love the music and I know you’ll love Mays’ backstory on “There’s a Small Hotel”. Does a hotel like this really exist? Jim Plank  drums 8PM Bill Mays is coming to town for almost a month and we're first starting out in Nor Cal and then working our way down to SD. We've got new music and we're also going to make a new recording. Hope to see you at one of our shows! Jim Plank  drums 7:30 PM Bill Mays is coming to town for almost a month and we're first starting out in Nor Cal and then working our way down to SD. We've got new music and we're also going to make a new recording. Hope to see you at one of our shows! Richard Sellars  drums 8 PM I'm thrilled to be playing with Ian and the guys and tackling the music from his new record. Big fun! Jim Plank  drums 2 PM Bill Mays is coming to town for almost a month and we're first starting out in Nor Cal and then working our way down to SD. We've got new music and we're also going to make a new recording. Hope to see you at one of our shows! 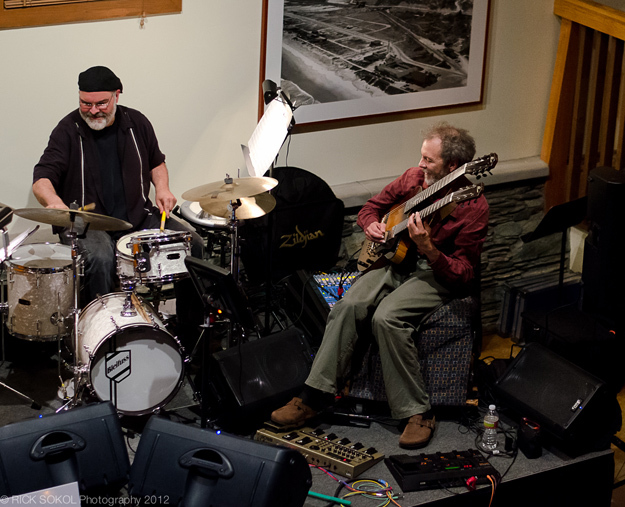 Jim Plank  drums 7 PM Bill Mays is coming to town for almost a month and we're first starting out in Nor Cal and then working our way down to SD. We've got new music and we're also going to make a new recording. Hope to see you at one of our shows! Bob Magnusson  bass 8:30 PM Also known as the Cabo Trio! Julien Cantheim  drums 4 PM Dirk Sutro wrote the book "Jazz for Dummie's" and he's a good friend. He's put together this series of lectures about jazz and has invited me and the boys to be part of the "Jazz Guitar" lecture. Sounds like a lot of fun. It's also a FREE event. 8:30 PM Thrilled to have Kevyn as my guest for a great night of samba jazz! 7 PM We're heading south for our yearly visit to the tip of Baja. We've got gigs on a bunch of the nights and of course there will be a ton of ocean time to even out the whitenoise build up of regular life. If you're going to be down there, let me know and I'll give you the details.